If you&apos;re at @fosdem for the hardware 🤖 check out our booth! 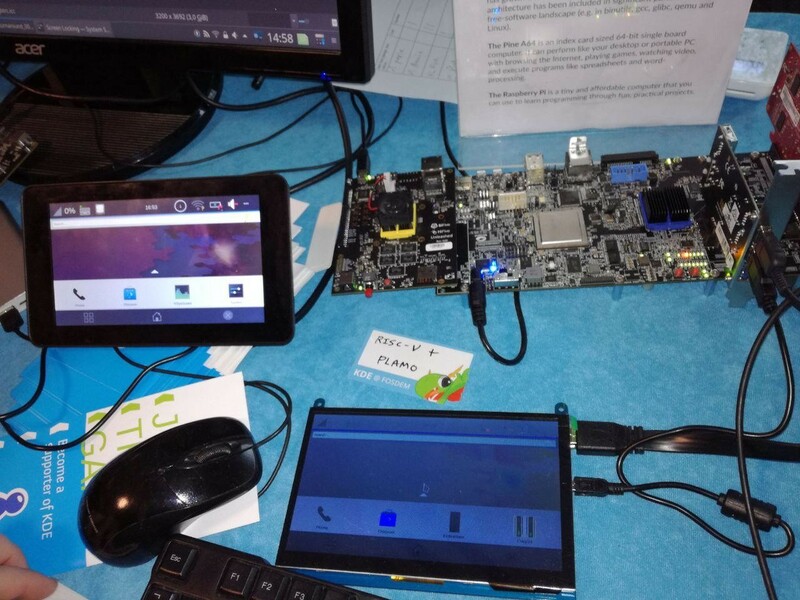 In picture: Raspberry Pi-based system for In-Vehicle Infotainment and RISC-V board running Plasma Mobile. Not in picture: Pinebook (Pine64&apos;s $99 ARM-based notebook) and KDE @slimbook II (high-end ultrabook).